Dollars, Decisions and Design – Driving Education Forward! Brooks Museums Magnet Elementary School is the first Museums Magnet Elementary School in North Carolina. Each grade level uses local museums as resources and for field trip opportunities. The school teaches using the Paideia educational theory which falls into three categories: first, reading, research, and lecturing takes place to begin each project; second, in school teacher coached and student led projects are developed; and third, the teacher facilitates group discussion to unveil the projects findings. Student project work is exhibited in the building, creating a museum atmosphere while museums are utilized as places of learning and extensions of the classroom. Because of their unique program, the school’s current leadership expressed the desire to create gallery and exhibition spaces, as well as permanent display areas. 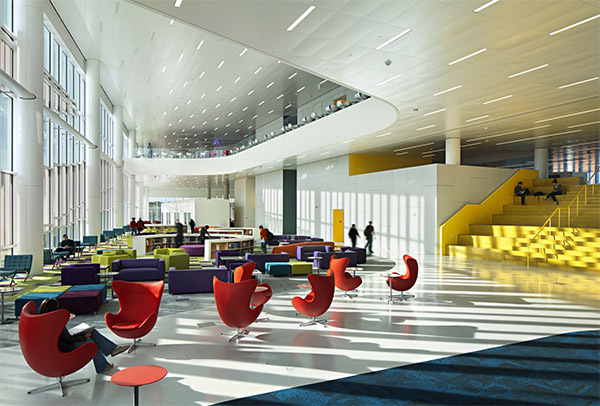 Group learning spaces to help facilitate hands on projects, class collaboration, and interactive teaching have also been incorporated into the design to align with their current teaching philosophies. 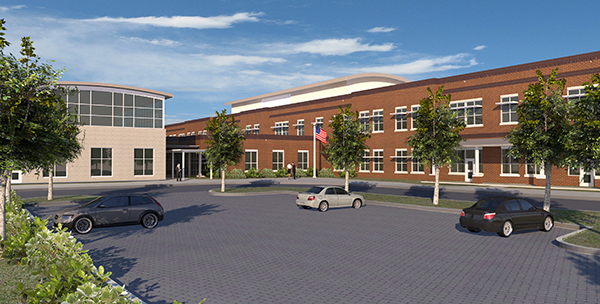 The design for Brooks Elementary School complies with the school district’s Energy Guidelines for new school facilities, which establish a very rigorous energy conservation target that must be documented and verified at each design phase. To meet this goal, the design includes a high performance building envelope, energy-efficient 4-pipe VAV mechanical system, air-cooled chiller, gas-fired condensing boilers, LED interior lighting. These improvements led to the achievement of Wake County’s energy conservation target as well as the EPA’s “Designed to Earn the ENERGY STAR” program. The anticipated operational savings represents a 28% reduction vs. the EPA average. 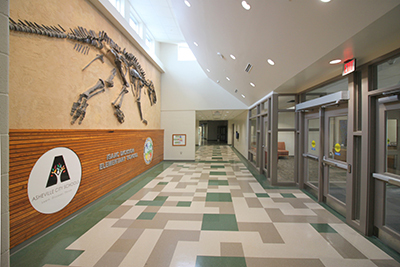 Students at Isaac Dickson Elementary School are welcomed by a 65-million-year-old dinosaur skeleton that is mounted on the school's main lobby wall and stands 28 feet long and 10 feet high! The dinosaur was donated to the school to demonstrate the impact that rapid changes in the earth's atmospheric conditions can have on its inhabitants. 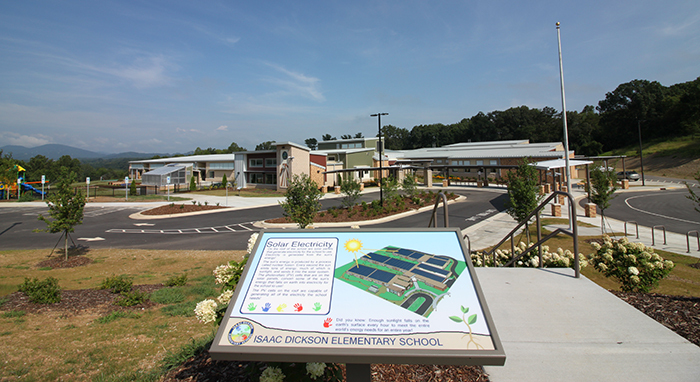 Isaac Dickson Elementary School's magnet theme is experiential education, and the building reflects that focus. Through project based learning, students tackle a challenging academic curriculum in ways that are fun, engaging, meaningful and adaptable to a variety of learning styles. The school also provides after-school clubs on topics such as karate, cooking, chess, science, swimming, mosaics, coding, and more. 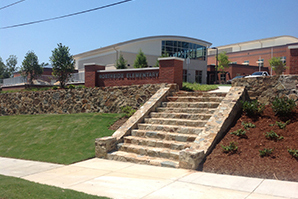 The new building features a media center, amphitheater, outdoor learning spaces, community gardens and more. Designed to be as green as possible, the building features geothermal heating and cooling, daylighting, constructed wetland and rainwater collection. 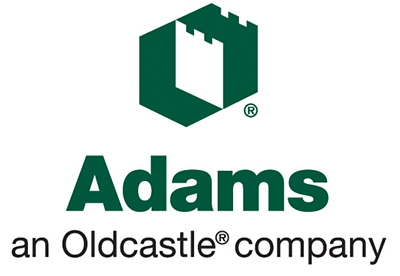 Isaac Dickson has been submitted for Platinum LEED certification. Please join us for this exciting tour and program. We know that there is a critical need for more skilled workers and company leaders to staff current and future projects. At Carolinas AGC, we believe that one of the best ways for our members to fill these roles is to GROW their current people through education and training. As a CAGC member, we are proud to provide you with opportunities of financial assistance for yourself or your family members. We have three (3) scholarship opportunities to help you, or a member of your family, to enter the construction industry, grow or strengthen a craft skill, and/or advance in your career. 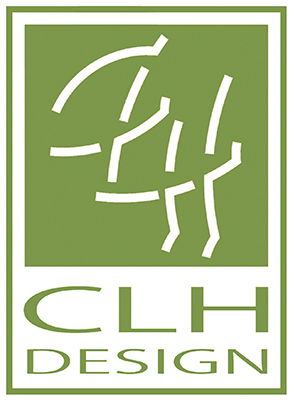 Click here for more information on the 2016 Scholarships. The CAGC Foundation goal is to award $12,000 EVERY YEAR to qualified applicants. *Applicants do NOT have to be CAGC members or employed at CAGC member firms. Please join us for an exciting tour and program at The Hunt Library – the proud face of NC State University in the 21st century. Named the nation's top research park in 2007, NC State's Centennial Campus is a nexus of collaboration among students, faculty, researchers, and corporate, governmental, and institutional partners. In the past 25 years, it has grown into a powerful engine of growth for the state and the nation – and is now the fastest growing part of the NC State campus. The James B. Hunt Jr. Library builds on all we have learned to create an iconic building that captures the spirit of NC State University's strengths in science, engineering, technology, and textiles. 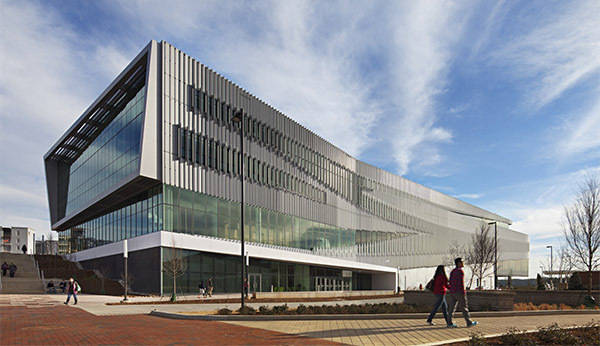 Designed to be a major competitive advantage for the university, the Hunt Library is a signature building that both enables and reflects NC State's vision as a preeminent technological research university recognized for its innovative education and research addressing the grand challenges of society. The Hunt Library stands as its intellectual and social center. Its bold design is a visual statement of its bold purpose: to be a place not of the past but of the future, a place where our students, faculty, and partners can gather to research, learn, experiment, collaborate, and strengthen NC State's long tradition of leading transformative change. In the digital age, libraries have become the creative space where students spend enormous amounts of their time – working, creating, studying, and interacting with peers. These spaces need to be comfortable; they need to make it easy to collaborate; they need to be inspiring. 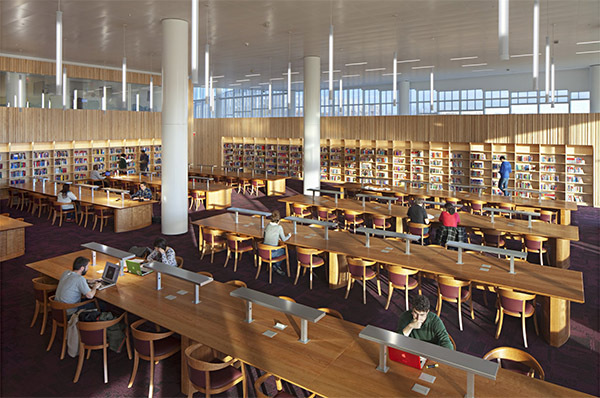 The Hunt Library is an international destination for those who seek to explore how collaborative spaces and innovative applications of technology can inspire the next generation of engineers, designers, scientists, researchers, and humanists. If your district has funding for one space or a lot of spaces, this is an opportunity to see phased master planning in John F Kennedy High School (CTE) and its shared spaces with the Career Center High School (for career technical studies and advanced placement) and Carter Special Needs High School where all three schools share specialized educational areas and a cafeteria to minimize school district costs on the Kennedy Campus. Don't miss this opportunity to tour the new Vernon Malone College & Career Academy (VMCCA), Wake County's first Career and Technical Education (CTE) high school, serving grades 10 - 12. An adaptive re-use project, VMCCA is located in the former Coca-Cola Bottling Plant, just south of Raleigh's downtown. 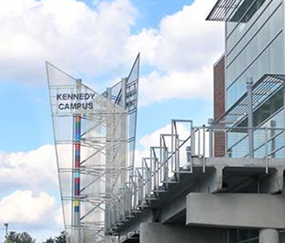 The Vernon Malone College and Career Academy is a collaborative endeavor between the Wake County Public School System, Wake Technical Community College and Wake County Government. Using a CTE lens, project-based learning along with a flexible schedule will create integration between high school and college course where work-based learning will occur through internships, apprenticeships and co-ops. Graduates of the Vernon Malone CCA will be prepared to continue on to a four-year university, or apply their earned credits towards an AAS degree, certificate or diploma program at Wake Technical Community College. The school is named for a long-time supporter of public education in Raleigh, State Senator Vernon Malone. Mr. Malone also served on the Wake County Board of Education, the Wake County Board of Commissioners, and as principal for the Governor Morehead School for the Blind. Join us for a Dutch Treat Lunch! 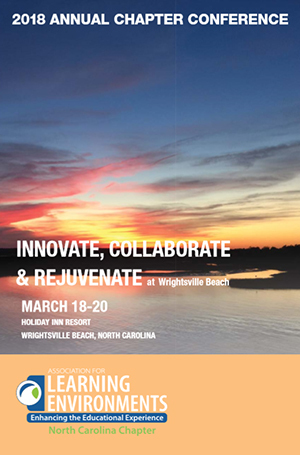 GreenNC is a one-day event, hosted by the USGBC North Carolina Chapter, to provide education, information and networking to North Carolina and neighboring citizens interested in green building and sustainability. There is a reduced rate for government employees. 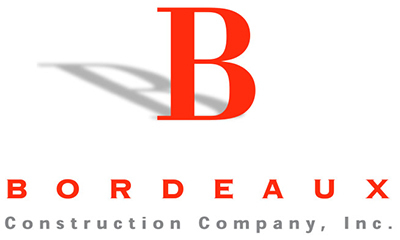 The non-USGBC-NC Chapter member rate is $110. In addition, we have a special discount code for organizations to include in their announcement. When registering, members can enter "Plus13" as a promotion code and receive an additional $20 savings. 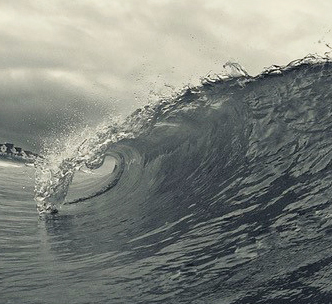 The Plus13 code will expire November 25 (Monday before Thanksgiving). Join us for a Dutch Treat Lunch at Mama Dips. 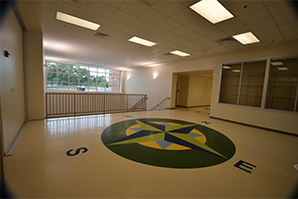 Tour an exceptional elementary school for over 585 students situated on a tight site in a residential community. 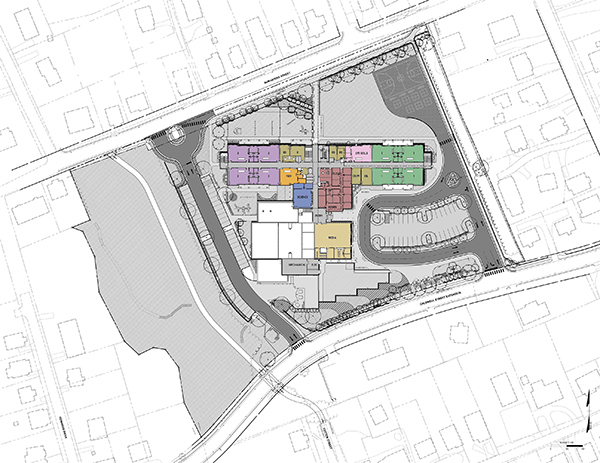 Moseley Architects project team, Jim Copeland and staff, will present the objectives and mission of the Northside Elementary School and the corresponding design solutions. The District's desire to make the school as sustainable as possible within budget and scope will be viewed in the tour. The tours will demonstrate how the program was provided in a split-level three story design integrating green features providing substantial water and energy use reductions. The building is a teaching tool with signage and a green roof accessible from the learning center. The site upon which the school stands has a history of education; it was the location of a Rosenwald school and one of the County's African-American schools. This rich history is displayed on historical signage that will be viewed on the tour.